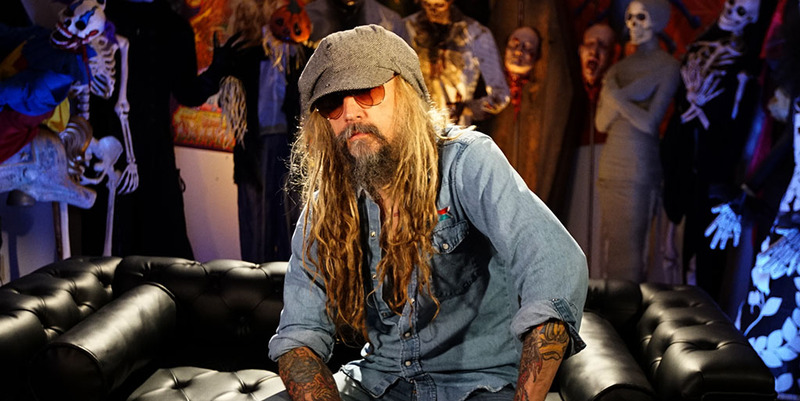 Los Angeles – Sept. 13, 2017 – “The Great American Nightmare” comes to HDNET MOVIES this October, as the network unleashes Rob Zombie’s 13 Nights Of Halloween—airing every night at 9pE from Thursday, October 19 through Tuesday, October 31. The Halloween event puts the spotlight on 13 films hosted by heavy metal mastermind and acclaimed horror icon Rob Zombie. The event kicks off with Zombie’s celebrated sophomore opus THE DEVIL’S REJECTS, starring Bill Moseley, Sid Haig, and Sheri Moon Zombie as the maniacal Firefly clan, embarking on a murderous road trip with a vengeful sheriff (William Forsythe) in hot pursuit. Other films rounding out the special include Matthew McConaughey & Renée Zellweger in early starring roles in TEXAS CHAINSAW MASSACRE: THE NEXT GENERATION (Oct. 20); Wes Craven’s seminal 1972 shocker THE LAST HOUSE ON THE LEFT (Oct. 21); Jodie Foster & Anthony Hopkins in the Oscar®-winning masterpiece THE SILENCE OF THE LAMBS (Oct. 22); Steve McQueen in the 1958 sci-fi favorite THE BLOB (Oct. 23); Kevin Dillon & Shawnee Smith in the 1988 reimagining THE BLOB (Oct. 24); Nicole Kidman in the ghostly drama THE OTHERS (Oct. 25); Bradley Cooper in the supernatural thriller CASE 39 (Oct. 26); the found-footage epic THE DEVIL INSIDE (Oct. 27); Brad Pitt & Juliette Lewis in the killer couple classic KALIFORNIA (Oct. 28); Christian Slater & Patricia Arquette in Oliver Stone’s star-studded crime thriller TRUE ROMANCE (Oct. 29); and Tim Matheson in the 1991 Stephen King adaptation SOMETIMES THEY COME BACK (Oct. 30). The month closes with a special a 24-hour Halloween marathon on Tuesday, October 31, starting at 6aE and featuring LEATHERFACE: TEXAS CHAINSAW MASSACRE III at 9pE.